One of the greenest neighborhoods in Manhattan, the Upper West Side is bordered by the Hudson River and Riverside Park to the west and Central Park to the east. Broadway, Amsterdam Avenue, and Columbus Avenue are the main thoroughfares of the Upper West Side, running north to south between West 59th Street and West 110th Street.The Upper West Side is a favorite Manhattan neighborhood to feature in film and television such as You’ve Got Mail, Seinfeld, Night at the Museum, and 30 Rock, and it’s not hard to see why. Elegant brownstones, vibrant greenery, and beloved mom-and-pop shops fill the streets. The Lincoln Center, American Museum of Natural History, and New York Historical Society contribute to the area’s cultural and intellectual identity. All who live and work in the area are just a short walk away from the beauty of Central Park or the waterfront. Companies seeking New York City office space that is removed from the hustle of Midtown or Lower Manhattan but still within a concentrated hub of NYC culture should consider office space in the Upper West Side. 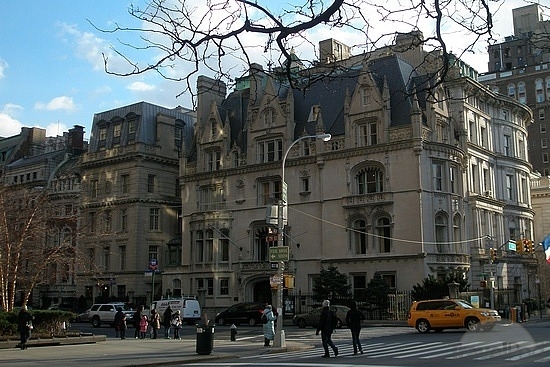 Similar to the Upper East Side, the Upper West Side is an affluent and primarily residential neighborhood. Unlike its East Side counterpart, however, office space in the Upper West Side is considerably cheaper and rents for an average of $58 per square foot. With low prices and an intimate community atmosphere, it’s no surprise that young companies are seeking out Upper West Side office space to make their mark on NYC. The Upper West Side is home to notable media companies including Time Warner, ABC, and Sesame Workshop (Sesame Street). Smaller companies in the technology, advertising, media, and information sector that rent Upper West Side office space include RedSquare, Harmonia Holdings, Silicon Alley Media, Tough Guppy Productions, RLD Group, and Indigo Productions. Consulting firms in educational, financial, technology, and business fields are also common commercial tenants in the Upper West Side. Many office workers in the Upper West Side enjoy a convenient commute to work due to the two subway lines that run along Broadway and Central Park West. The 1, 2, and 3 trains have regular and express stops along Broadway, and the A, B, C, and D trains reach various stops along Central Park West. Thirteen bus lines also serve the area, with the M20 bus line terminating at Lincoln Center. The Upper West Side has a high Walk Score of 98, and the neighborhood is also very bike-friendly. Citi Bike has numerous stations in the area, and bicycle lanes are present on Amsterdam Avenue and Columbus Avenue. 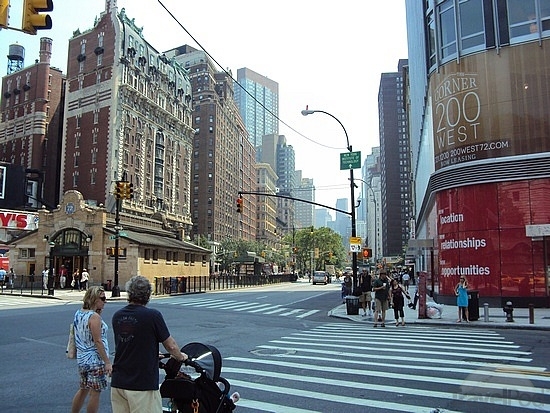 Nearby neighborhoods include: Midtown, Columbus Circle, Morningside Heights, and Harlem. There’s always something to do in the Upper West Side, whether it’s shopping at Columbus Circle or the GreenFlea Market, exploring the parks, visiting one of the many museums in the area, or seeing a show at one of the 11 performing arts organizations within the Lincoln Center. The assortment of cultural activities makes the Upper West Side an ideal location for hosting clients and business guests. Impress guests by taking them to a business lunch at renowned restaurants like RedFarm, Jean-Georges, Ouest, or Dovetail, or treat them to a local favorite like Zabar’s, PeaceFood Café, Épicerie Boulud, or Pier I Cafe. The Upper West Side is also home to a significant Jewish community, including the oldest Jewish congregation in the U.S. and some of New York’s oldest synagogues, which means many of NYC’s finest Jewish delis and kosher dining are in the neighborhood.